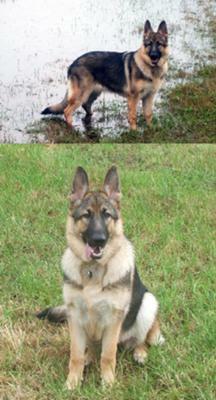 Here are some pics of our 1 year old female GSD . Her name is Heidi’ she is the friendliest dog Ive ever known . She is good with people but not with strangers who come to our door . We bought her off a breeder when she was 9 weeks old and she has been house trained from day one . She is a real member of our family and we hope to have many years being her friend .